What an unbelievable morning we were able to experience today. 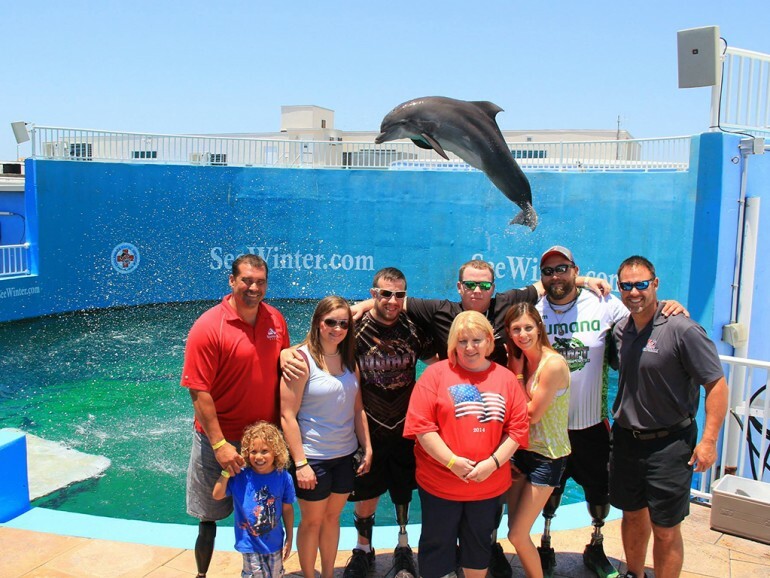 Mike joined four of the players from the Wounded Warrior Amputee Football Team on a special tour of the Clearwater Marine Aquarium and also enjoyed an exceptional meet & greet with Winter the Dolphin. Thank you U.S. Army Specialist Four Tyler Jeffries, U.S. Marine Master Sergeant David Lind, U.S. Army Staff Sergeant Michael Cain, and U.S. Marine Corporal Jeremy Stengel for your service to our Country and for allowing us the honor to spend the day with you.